Prague (kath.net/KAP) Cardinal Dominik Duka commented on the 100th anniversary of the proclamation of the Czechoslovak Republic with a pastoral letter. The proclamation of the republic on October 28, 1918 had taken place at the foot of the St. Wenceslas Memorial in Prague's Wenceslas Square, and the Vatican was one of the first states to recognize the new state, Duka recalled. The Pastoral Letter, dated 28 October, and published only on Duka's personal homepage, is signed by him only in his capacity as Archbishop of Prague and Primate of Bohemia, but not as President of the Czech Bishops' Conference, which only took place on the 23rd and held its 115th Assembly on 24 October. First of all, Duka is reproachful that the Church does not sufficiently commemorate the anniversary of the republic. For, “together with a number of institutions and commissions, they were not only informed about the intended actions, but also shared information among themselves.” For the Catholic Church, "it was especially important to point out the roots of Czech statehood in connection with the worship of St. Wenceslas to the full extent of our early history and their continued existence until the founding of Czechoslovakia or Czech Republic.” This requirement was met in particular with the celebrations for Wenceslas Day (28 September). The Primate Cardinal recalled the presence not only of Church organizations, but also of the military and the Sokol ‘Movement at the solemn Mass in Stara Boleslav on the 28th of September. It was the members of this Christian-oriented movement who fought for the rebuilding of the sovereign republic during the First World War and during the Second World War. Thus, the continuity of the cult of Wenceslas was made visible during the celebrations. Duka also mentioned the problem of founding the state 100 years ago. The festive atmosphere had been clouded by the not yet consolidated demarcation. But the federalization proclaimed by Kaiser Karl at the last moment "could not seal the fates of our peoples, but Karl's earnest efforts to conclude peace were undeniable.” He wanted to emphasize, “Charles’ renunciation of the throne of Bohemia, who had sworn allegiance to the dynasty, and were thus free to decide without inhibition,” said the cardinal. The Primate cited in detail from the last pastoral letter of his predecessor Archbishop Paul Huyn (1868-1946) and from the first of his Vicar General Moric Picha (1869-1956) from the days of separation of 1918. Two days before the proclamation of the republic, on the 26th of October, the Archbishop of Prague described the war as a "just defensive war", which Catholics in particular must "do their utmost to be victorious.” It was the "last cause of hatred of the enemies" that "we were lucky enough to have a Catholic Emperor and a Catholic Empress." Huyn had then not returned from a visitation to Prague and officially resigned on September 19, 1919. In a TV interview in the news service CT24 also greeted Karl Habsburg, the current head of the House of Habsburg, and the historical role of his grandfather. The Emperor "in addition to his deep faith, also believed that, however bad the situation may be, one must endeavor to make the best out of it.” On this basis, one must "also consider the various peace efforts that emanated from him.” Karl came to power in a situation when - after the death of Emperor Franz Josef - the war was essentially beyond salvation." (Prague) Novinky , the most important Internet portal of the Czech Republic reported yesterday on an article by Cardinal Dominik Duka, Archbishop of Prague and Primate of Bohemia, he had written after the assassination of the French priest, Abbé Jacques Hamel. Abbé Hamel had his throat cut on July 26, while celebrating Holy Mass in the church Saint Etienne du Rouvray in Rouen. The priest was then beheaded. The two murderers were shot dead by police. The Islamic State(IS) took credit for the act. Cardinal Duka sent his response to the renowned Catholic weekly Katolický Týdeník . This, however, refused to publish the article. The cardinal then published it on his Facebook page. The Catholic cardinal had expressed himself critically in the past about Pope Francis' "welcoming culture". In his article, he warned of a "disproportionate and ruthless welcome policy". An expression which the Cardinal apparently was missed by the censorship of his own subordinates. The caution and wisdom expressed by the Primate of Bohemia against Islamic immigrants sparked polemical attacks. The advocates of "welcoming culture" are well organized and deeply rooted, especially in the media, even in the Catholic media, as the Cardinal's bitter experience demonstrated. Cardinal Duka was bitterly attacked by Msgr. Tomas Halik, one of the most famous Czech priests. The sociologist and philosopher of religion, who was ordained a priest in the 70s underground, became the General Secretary of the Czech Bishops' Conference and advisor to President Vaclav Havel in the 90s. Halik is Professor of Sociology at Charles University and rector of the University Church. He attacked his bishop: "The real allies of the Islamic State against the Western world are those who do not know the difference between Islam and jihadist terrorists." Murder of Rouen: "All who have downplayed such acts, should now think"
Full disagrees Cardinal Duka. For him, the killing of Abbé Hamel was a "lesson" for all be those who previously downplayed similar incidents and downplayed the perpetrators as mentally ill and frustrated. Furthermore, to remain silent "would be suicide for our society," said the Archbishop of Prague. He also called for more to pray for the victims of terrorism and to seek fewer excuses and apologies for terrorists. The Cardinal ends with a reminder and an invitation: In Islam, says the primate, there are hidden violent tendencies, which is why those Muslims who do not share these tendencies, should react against if they wish have any share in credibility. It is piquant to note that the weekly Katolický Týdeník, which imposed censorship on the cardinal for his critical attitude towards mass immigration and the Islamization of Europe, belongs to the Czech Bishops' Conference. In the time of the Czechoslovak Soviet Republic there had indeed been a Catholic journal, but one which had been controlled by the communist regime. It had the task to drive a wedge between Catholics, which is why it enjoyed little prestige among these. After the collapse of the communist dictatorship, the new Catholic weekly was founded by a private publisher. As Katolický Týdeník got into financial difficulties in the 90s, the paper was adopted, rescued and supported by the Czech Bishops' Conference. The journal is in fact the Church newspaper for the entire Czech Republic. Chief Editor Antonin Randa censored not only his own bishop but also his own publisher. Cardinal Duka is namely, also, President of the Czech Bishops' Conference. The Prague Cardinal Dominik Duka is defending his country against the accusation of lack of receptivity to refugees. In an interview with the newspaper "Lidove noviny" (Saturday) he charged, according to Kathpress, German Chancellor Angela Merkel (CDU) with complicity for the division of German society and the fear of Europeans for the refugees. "I think that a large proportion who have this fear are exactly those people who say: We have to accept all. Who has provoked the split in the German society?" asked the cardinal recalling Merkel's welcoming culture. It was the German Chancellor, "who undermines a number of fundamental principles of the European Union, security issues and Schengen Agreement." 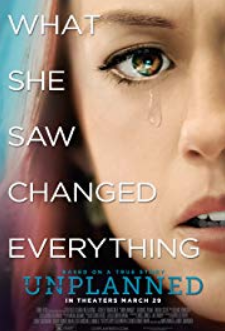 The interventions had consequences. "Development has proved us right"
Meanwhile, there had been a reversal, says Duka: "We all see how now the EU speaks, as the head of the EU Commission Juncker, like Merkel, or Austria, talk. 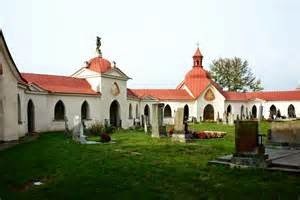 The development has proved us right," said the Archbishop of Prague. Duka also makes certain distinctions between European Catholics and Pope Francis on the refugee issue in the interview, "The sensitivity of Francis for the social problem is different from ours in Europe." This had to do with the origin of the pope from Latin America; where the gap between rich and poor there is much greater. Duka recalled that "in the past 20 years, nearly half a million new citizens" have come to the Czech Republic. The first were people from the East. Remonstrations that Czech citizens only want Christians is based on "disinformation", the Cardinal said. "We have said that we have to take Christians primarily because this is the most persecuted group who fear for their lives." The Czech Republic was not able to absorb large amounts of refugees, stressed Duka. "We have no tradition in this and no people who could communicate with the refugees." 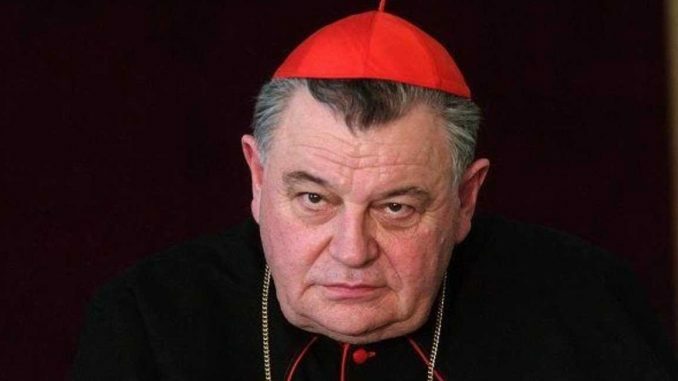 Cardinal Duka: "The Dissolution of the Family is a Civil Hiroshima"
Chairman of the Czech Bishops' Conference: The "planned destruction of the family" by "certain ideological currents" is "a civil nuclear war," that is "a larger and more painful reality than any economic crisis". Prague (kath.net/KAP) On the occasion of the Church's "Year of the Family" a National Family Pilgrimage was held in the Czech Republic. These gathered in Zdar nad Sazavou (Saar at the Sázava) more than 5,000 children, parents and grandparents, to jointly lay a commitment to family. Just before the event the complex on the Zelena Hora (the Green Mountain)in the Diocese of Brno had been handed back into the care of the Catholic Church. The President of the Czech Bishops' Conference, Cardinal Archbishop of Prague Dominik Duka (photo) gave the sermon last Sunday on both occasions. The "planned destruction of the family" by "certain ideological currents" is "a civil nuclear war," said Duka. Because it will put society in the same "state as Hiroshima after the atomic explosion". This decline has been "a larger and more painful reality than any economic crisis." Attacks on the family set the stage where man is isolated and enslaved, said the Bohemian Primate. The first step in the subjugation of African slaves was not by chance the destruction of their families, reminded Duka. Motioning to the event location the cardinal said, the restitutions presented "a gradual termination of the financing of Church operation by the state". What Church and society would most need is a "return of marriage and family in their original condition". Designed by the Prague architect Giovanni Santin Aichel, the pilgrimage complex on the Green Mountain at Saar is a major work of the so-called Bohemian Baroque Gothic. Its inclusion as a UNESCO World Heritage Site was 20 years ago this weekend, was a commemoration for the festivities from the 5th to 7th of September. The transition of pilgrimage area, the cemetery and the property to the Church is a sensitive issue, says local pastor Vladimir Zalesky. Above all, we strive to return to regular pilgrimages, church services and an expansion of the spiritual and cultural offerings outside the tourist season. Particular attention will be given to the selection and training of church leaders. They should learn to master its renunciation, the numerology and ascenticism of John of Nepomuk Church and communicate to the Faithful as well as those not close to the Church through its strange enclosure wall. Copyright 2014 Catholic Press Agency, Vienna, Austria All rights reserved. WARSAW, Poland – A Czech cardinal welcomed final court approval of government plans to pay billions of dollars to churches in compensation for their losses under communist rule. On June 3, the Constitutional Court cleared the way for the implementation of a 2012 law that says 56 percent of assets, valued at $3.8 billion, will be returned to Catholic, Protestant, Orthodox and Jewish communities, with $3 billion paid out over a 30-year period as compensation for the rest of the properties. During that same period, annual government grants to churches will also be phased out.